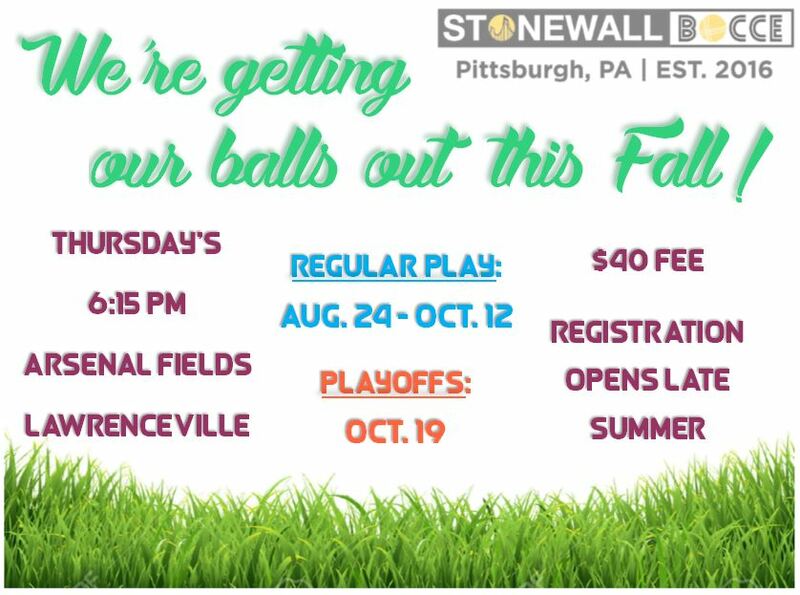 Stonewall Pittsburgh’s newest sport, Bocce! If you’re looking for an activity that includes strategy, team-work, socialization, fun, and balls that glow in the dark, then this is the sport for you – enjoyed outdoors on a lawn with a drink in hand, of course! Details are continuing to roll-in, but don’t let that stop you from starting to get your teams together! If you’re unfamiliar with the sport here’s a somewhat random (but rather informative) video to watch.